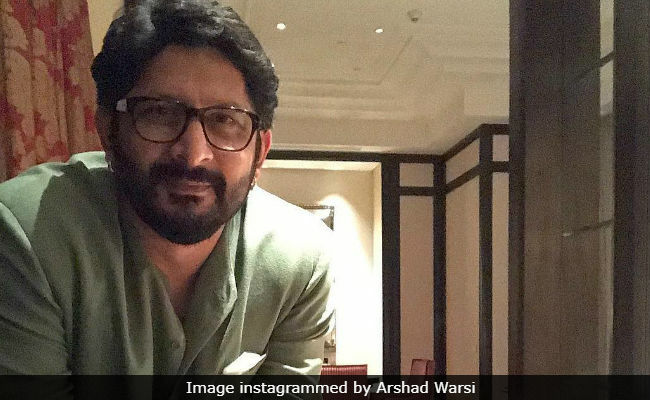 Arshad Warsi said: "My association with him is so long and I have never seen one wrong thing about him"
Actor Arshad Warsi on Tuesday said that it is difficult for him to believe the sexual harassment charges levelled against filmmaker Rajkumar Hirani, reports news agency IANS. Over the weekend, a member from Mr Hirani's 2018 film Sanju alleged that she was 'violated' by the filmmaker over a period of six months. However, Mr Hirani categorically denied the allegations. Of the #MeToo account against Mr Hirani, Arshad Warsi, who played the role of Circuit in the Munna Bhai films, said that he doesn't want to "pass any sort of judgement or come to a conclusion" because he "doesn't know exactly about the case." Speaking to media persons during the promotion of his upcoming film Fraud Saiyyan, Mr Warsi said: "I have never seen him behaving badly or doing anything incorrect. So, suddenly hearing this, you think, 'How is this possible?' I cannot say anything till it is all 100 per cent there... One cannot jump to a conclusion. It is not fair." "I personally don't like to jump to conclusions and pass my judgement and suddenly start looking at a person differently. I cannot do that. It's not right to do that. What I feel about Rajkumar Hirani? I think he is a fabulous gentleman. He is a lovely guy. 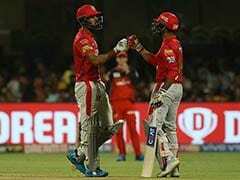 My association with him is so long and I have never seen one wrong thing about him," Arshad Warsi added, reported IANS. Earlier Dia Mirza, Boney Kapoor and Sharman Joshi also gave statements supporting Rajkumar Hirani. Dia Mirza, who starred in Sanju and Lage Raho Munna Bhai, told PTI: "I am deeply distressed by this news. As someone who has known and respects Raju sir for 15 years I can only hope that a due official enquiry is conducted. He is one of the most decent human beings I have ever worked with and I think it would be grossly unjust on my part to speak on this as I do not know the details." Speaking to ANI, filmmaker Boney Kapoor said: "I don't believe this allegation. He can never do something like this." Sharman Joshi, who featured in Mr Hirani's 3 Idiots, tweeted: "Raju sir, is a man of immense integrity, character, honour, compassion and truthfulness, all the virtues one would imagine are non-existent in people today, someone I am absolutely inspired by and have learnt from and because of whom I believe I have gone onto being a better person." On Sunday, Huffington Post India published a story, in which an unnamed woman recounted her #MeToo story implicating Rajkumar Hirani while she was working with him during the post-production work of Sanju between March and September 2018. "I remember forming these words on my lips - 'Sir, this is wrong... Because of this power structure. You being the absolute power and me being a mere assistant, a nobody - I will never be able to express myself to you.' My mind, body and heart were grossly violated that night and for the next 6 months," she wrote in an email to film critic Anupama Chopra, who is the wife of Vidhu Vinod Chopra, Mr Hirani's frequent work associate, reported Huffington Post India. In a statement issued shortly after the aforementioned write-up went viral, Rajkumar Hirani denied all the allegations against him. "I was completely shocked when these allegations were brought to my notice about two months back. I had suggested immediately that it is essential to take this matter to any committee or any legal body. The complainant has chosen to go to the media instead. I want to very strongly state that this is a false, malicious and mischievous story being spread with the sole intention of destroying my reputation," the statement read. India's #MeToo movement gained momentum last year after Tanushree Dutta resurrected a decade-old sexual misconduct claim against Nana Patekar. In subsequent days, several big names from the film industry were implicated in different #MeToo accounts of female artistes and journalists. Celebrities such as Alok Nath, filmmaker Vikas Bahl, former Housefull 4 director Sajid Khan, filmmaker Subhash Ghai, poet-lyricist Vairamuthu and others were called out as sexual predators.